Celebrate the Christmas season with a jiggly sweet treat to share! 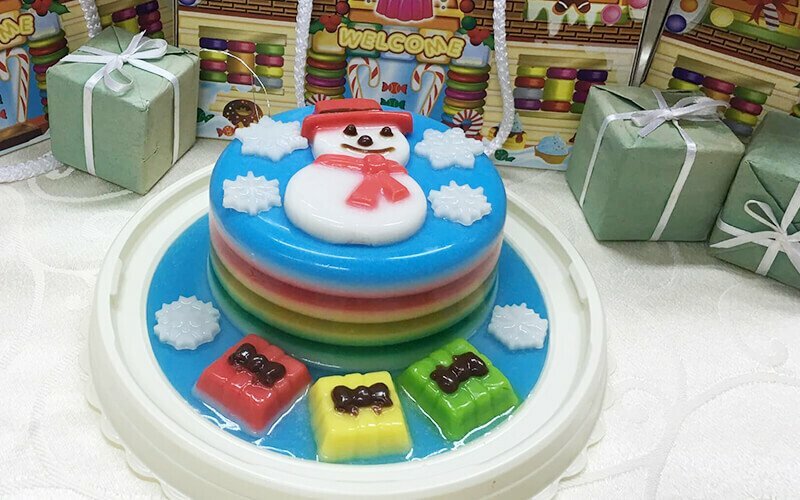 Delight in a pandan-flavoured jelly cake from Q Jelly, featuring several colourful layers to brighten up your day! 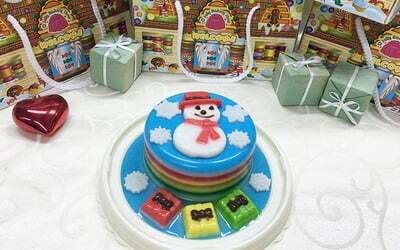 One (1) Christmas pandan jelly cake. Valid Mon: 11am – 5pm / Tue - Sun: 11am - 6pm. Valid on public holidays & eve of public holidays. Change of flavour not allowed. Expiry date: Please keep refrigerated below 4 degrees Celcius and consume within 2 days. Collection at Puchong outlet only.